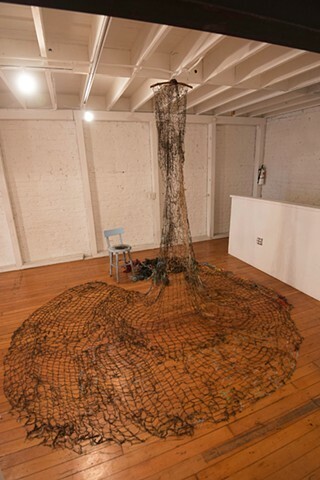 A show about obsessions curated by Microclimate Collective. 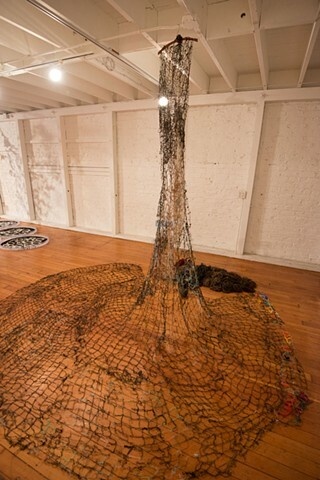 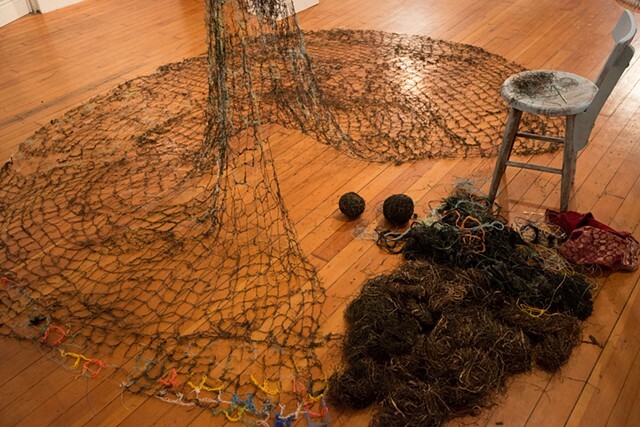 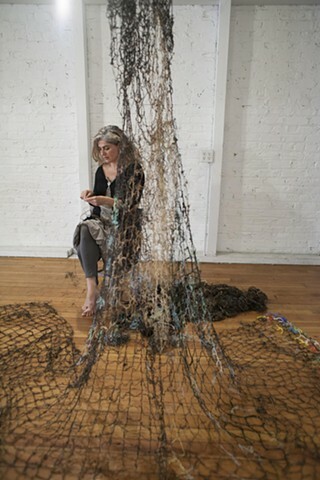 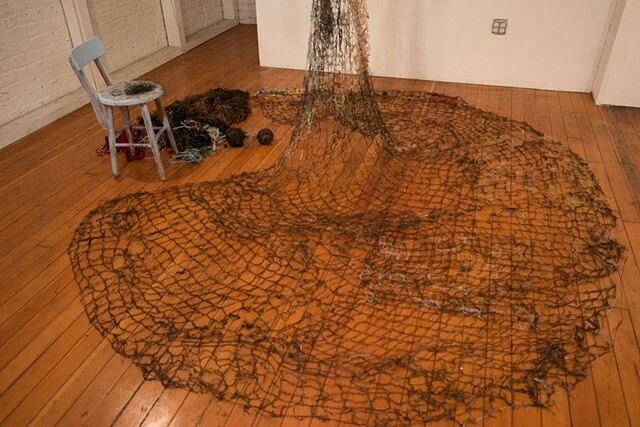 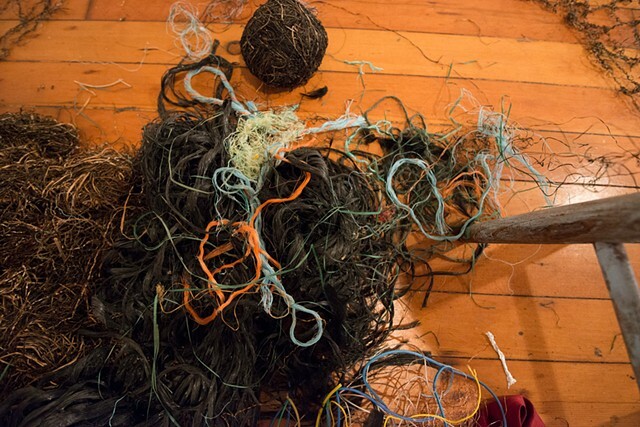 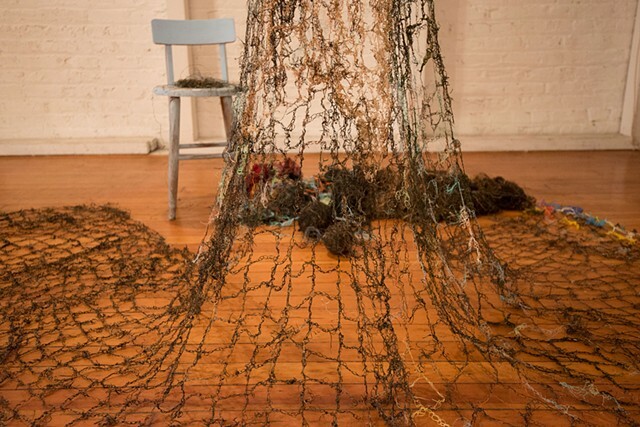 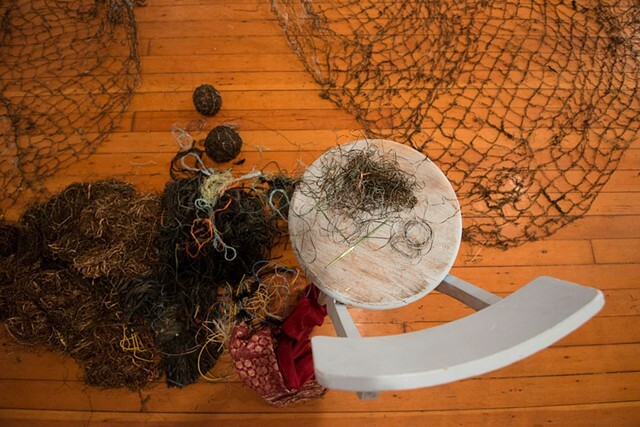 During the first one, I was crocheting for the 3 hours of the opening, with my back turned to the audience at a corner of the gallery space, having an-hour-window open for guests to participate: knot strings of seaweed and ropes and give them to me to crochet while talking and sharing. 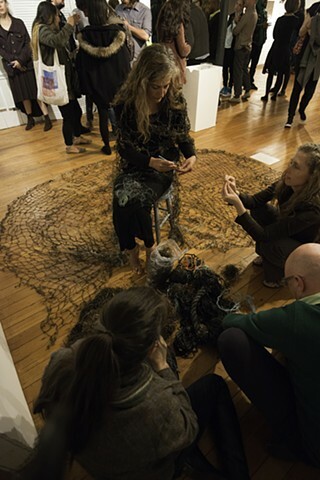 For the second performance I invited people to bring whatever they thought I could crochet to me, and to add to my dress. 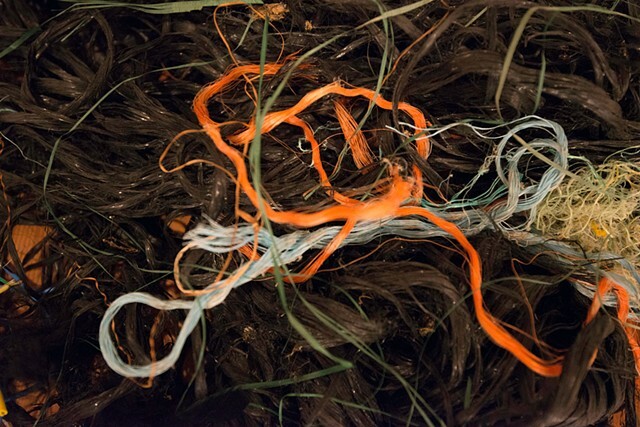 During this one, I had the pleasure to receive precious and inspiring elements like a traditional dyed red thread from Mexico, fabrics from India, grass from a Hula skirt, and a breathtaking beautiful handkerchief from my friend's great-grandmother... 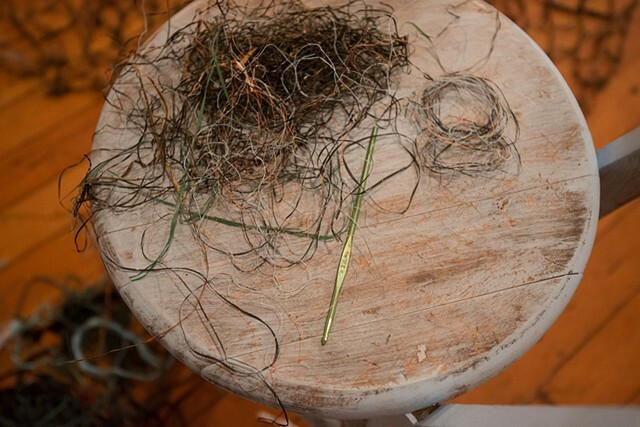 Elements that I would never thought of, and that still inspire me to work with. 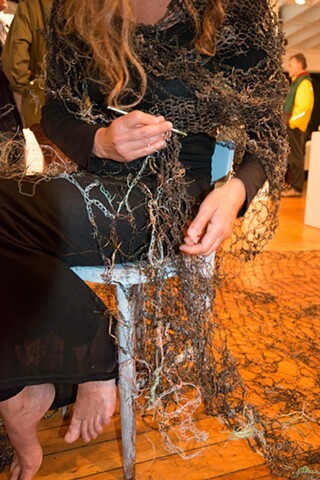 I was crocheting and adding pieces on my dress until the end of the show.